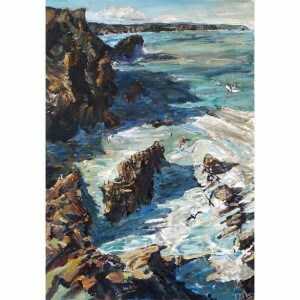 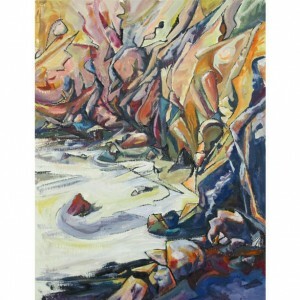 Tony Minnion works extensively as a painter in response to the local landscape – the impressive North Cliffs on the North Cornish coast – an awesome place of crashing seas, numerous caves and tall, crumbling rock faces. 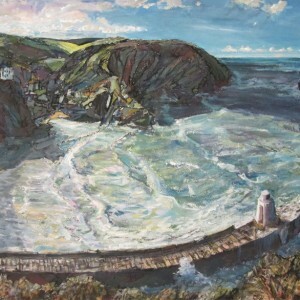 He paints and draws to communicate the magic, drama and power that this special place evokes working ‘plein air’ in hard to reach places threatened by encroaching tides, rock falls and precipitous drops. 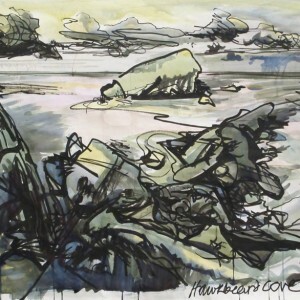 His work aims to articulate his emotional and spiritual response to the awesome power of this natural world. 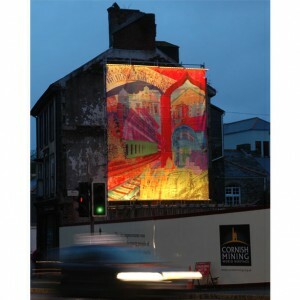 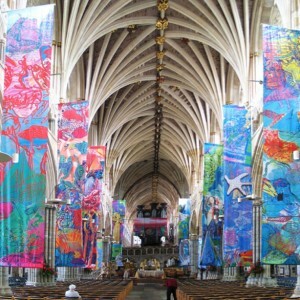 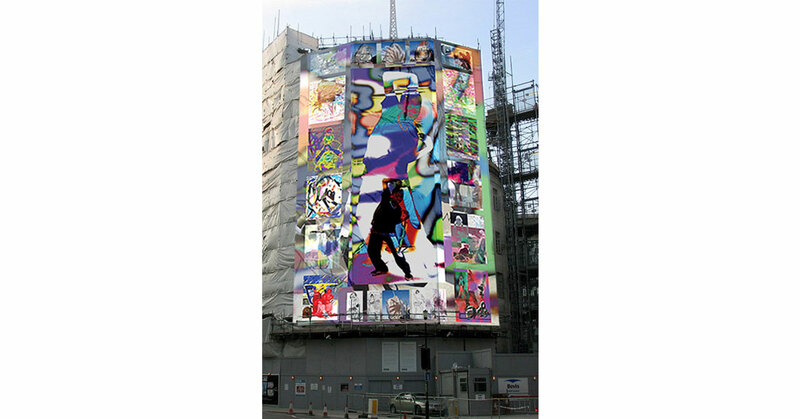 He also uses screen printing and digital processes on textiles and other substrates to work creatively with individuals, schools and the wider community creating large public artworks in the form of banners, flags and hangings throughout the South West and beyond.